New HD video – “Come play in the snow” at Mont Tremblant! Come play in the snow at Mont Tremblant! Hit the slopes and enjoy a great start to the season. This video features beautiful time-lapse photography, snowy trails and some park jibbing too! Opening day video, photos, daily reports and more! Announcing free online classified ads too! 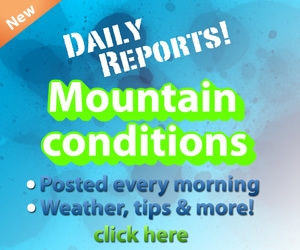 Check out all the action of opening day at Mont Tremblant for the 2010 / 2011 winter season! The mountain’s alive and well… come on out and enjoy the slopes! Tremblant Time-lapse video! Check it out! If you can’t wait for Tremblant to open, check out our Tremblant Timelapse vid in the meantime! See Mont Tremblant like you’ve never seen it before!